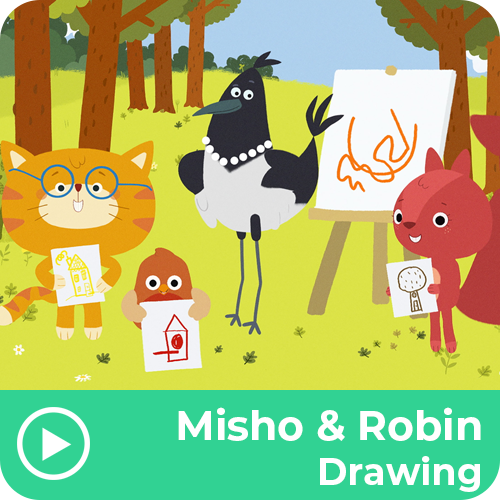 Misho and Robin see that Magpie is drawing in front of her cottage, so they all go to join her and have an art lesson. They learn how to draw different shapes - a circle, a square and a triangle. When they all learn to draw the basic shapes, she gives them an art assignment - they all need to draw a home. Interestingly, they all draw different things and Magpie is very happy with the results!